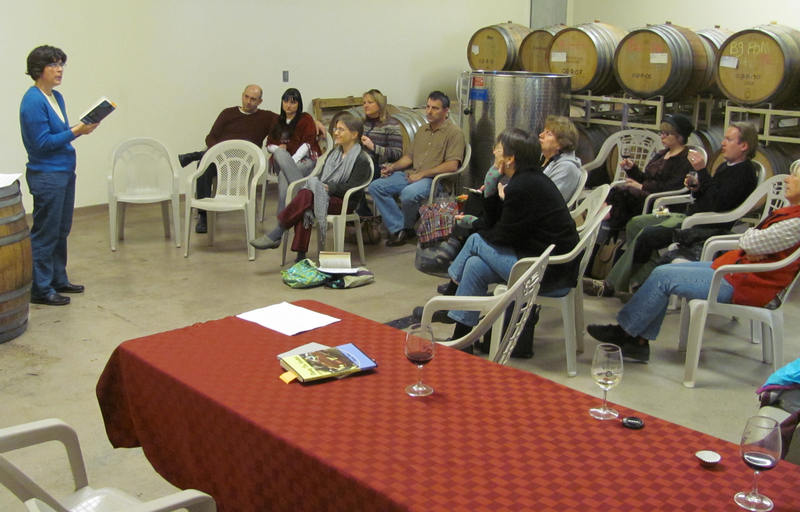 This weekend, we celebrated the 2nd annual Wine and Word tasting at Winter's Hill Vineyard. 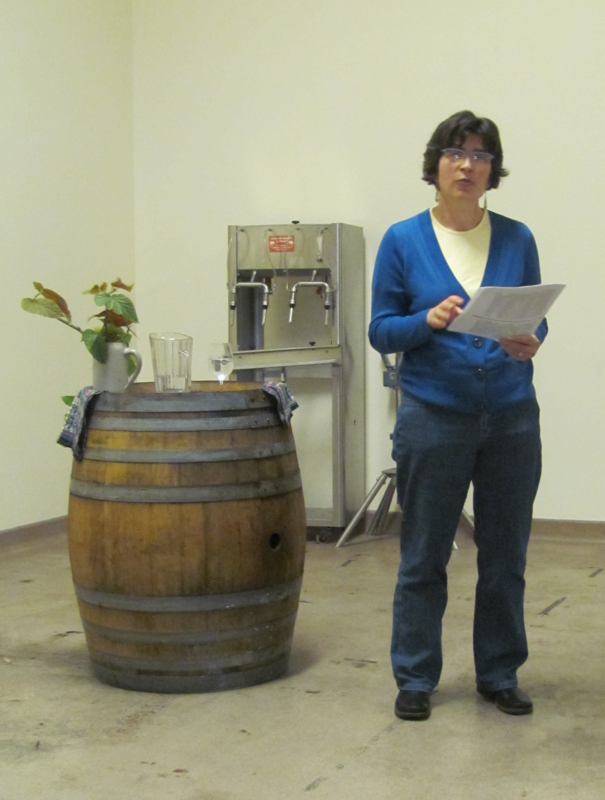 I wrote about last year's reading here, and the pairing of wine--or food--with texts. It's natural, I think, to bring them together; say what you will about eating only at a table with cutlery and dishes, sipping while reading (or nibbling while reading) is comfortable, comforting--fun. Reading aloud and in company is also about listening. 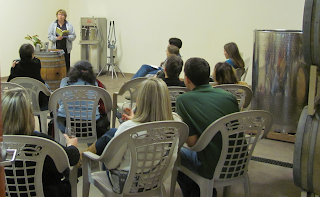 I knew the work of the day's readers prior to the event, but I hadn't heard every poem, every observation. Even those poems I had read myself or heard the poet read before were new, read in a new context, new surroundings. The inflections were new, as Saturday's voice is not precisely Friday's, or Monday's. I read a selection from Beyond the Islands, my translation of Alicia Yánez Cossío's Más allá de las islas. It's one my of my favorite bits, in which the poet Alirio, his muse fled, finds himself speechless before the big, big sea, repeating the (likely apocryphal) words of one historical figure or another that were drilled into his brain in 4th grade social studies. I also read a bit of my novel manuscript, Fishbowl. 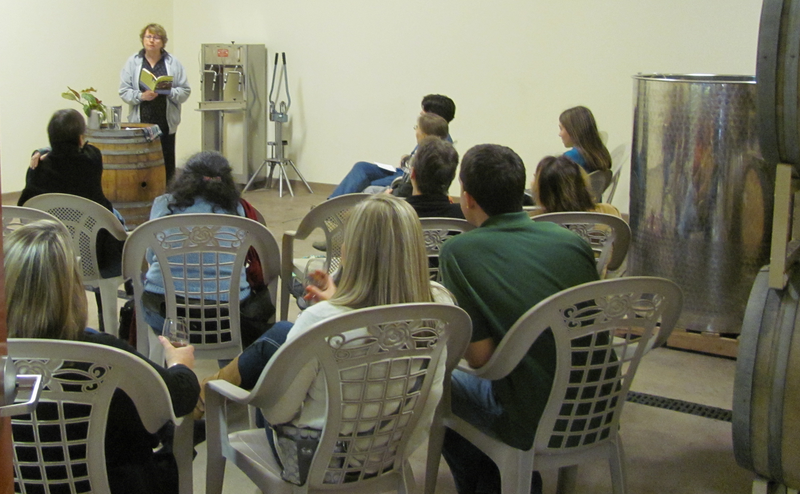 It was the first time I'd taken it out on the road, so to speak, reading to other than a hand-picked audience of friends and critique partners. I love reading aloud. Maybe I just like the sound of my own voice. Maybe I'm trying to fill the void left by children who now read their bedtime stories to themselves. But I enjoy the performance, the theatricality, and the living, breathing audience right there. It's a kind of instant gratification, after months of working on a manuscript quietly, alone. Beyond the Islands is set in the Galápagos, and also beyond: these are the Galápagos reinvented. 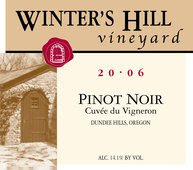 Pair the rich and varied cast of characters (pirates, settlers, tourists, botanists) with a lush and many-layered Pinot Noir like the Winter's Hill 2006 Dundee Hills. Hints of dark cherry, pepper, and musk resonate with the adventurers who try to make a place for themselves in the inhospitable islands; the complex flavors of the wine will warm the cold February evening you might spend in the company of Alirio, a prodigious poet anxious to recover his muse. Maybe we can arrange a shared reading sometime, Ruth. Wouldn't that be fun? I'm looking forward to hearing two of the Wine & Word readers--Karen McPherson and Kelly Terwilliger--read again on Saturday, at Tsunami Books in Eugene.